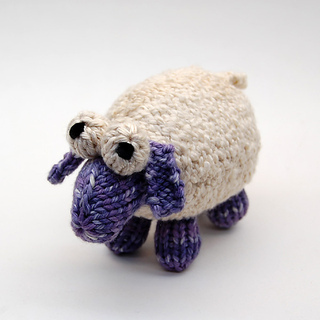 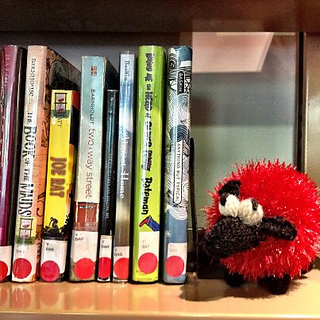 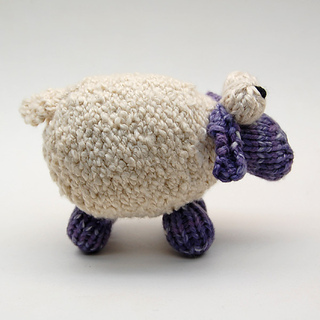 Sheepish may look shy, but he’ll brazenly nibble your yarn when he thinks you’re not looking. 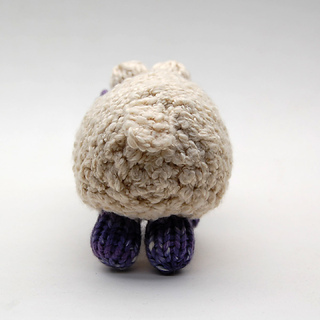 The body and head are knit in the round in one piece, with the eyes, ears, legs, and tail either picked up or knit separately. 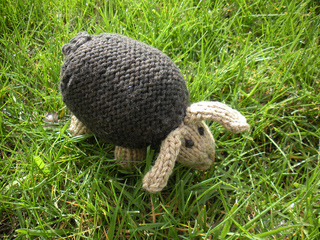 Basic increases and decreases are used for shaping. 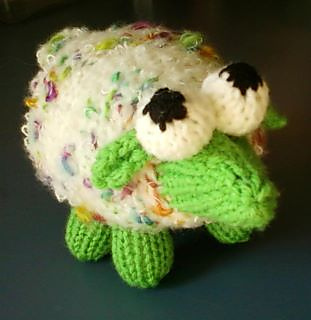 Stitch descriptions and lots of photos are included, and cheezombie can help via email. 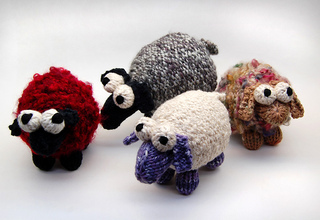 Finished size depends on needle and yarn size of course, but the examples were knit with various boucle novelty yarns & worsted cotton yarn on US size 3 needles and are approximately 6 inches long and 6 inches tall.